We got quite a bit of snow already here in Michigan. 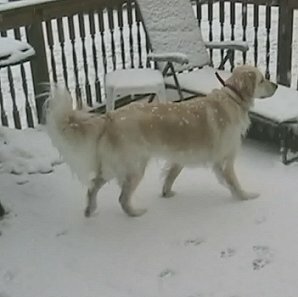 Last weekend over Thanksgiving I recorded some of it coming down and Kaylee (the Wonder Dog) playing and running around in it. It looked very pretty coming down (I just hate driving in it). I hope you enjoy this little video and it gets you in the mood for the upcoming holidays. Sorry it took so long to get another show up. Hope to do another one or tow in the next few weeks. Check your feeds, iTunes, or just download this most recent show HERE. Take care!